Flat Roof Doctor roofing Contractor of White Oak has been in business for over 30 years. we employ over 60 people and every team is highly qualified to tackle any roofing issue. We at Flat Roof Doctor Roofing specializes in residential and commercial roofs. Our crews are highly qualified to install all types of roofing systems. We are certified to install TPO roofing system, Modified Bitumen Torch Down Roofing System and EPDM Rubber Roofs. Erik is the assistant to the sales and operations. he helps to coordinate projects. Philip manages the day to day operations. He brings experience and knowledge that makes him a very valuable team member. Sven has been with Flat roof Doctor for 8 years. He is the estimator and job coordinator and makes sure that projects are being done on time. When it comes to installing and repairing roofs, we have all the knowledge and experience and will provide the best service possible. 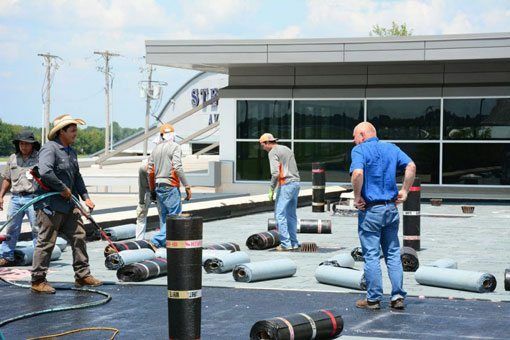 All the crews at Flat Roof Doctor Roofing are highly qualified and experienced technicians. Since the company was established 30 years ago, it has grown into a formidable business that serves all of North East Texas for its roofing needs.